Superstar Shah Rukh Khan has thanked Global Citizen Festival India (GCFI) and the festival's CEO Hugh Evans for bringing forward important issues like gender equality, water and sanitation. "Thanks Hugh Evans and Global Citizen Festival India for bringing issues of gender equality, quality education, water and sanitation to the fore. 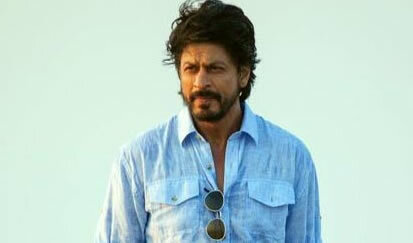 Thanks for including me," Shah Rukh tweeted on Sunday. Actor-filmmaker Farhan Akhtar, who was seen performing the song "Atrangi Yaari" with megastar Amitabh Bachchan from their film "Wazir", also congratulated Evans for the "incredible event". "Congratulations Hugh Evans on an incredible event and on the social impact it's already created," Farhan tweeted. The "Rock On 2" actor added that it was a "privilege to be part of it." The event which took place on Saturday night here, saw international artistes like Jay Z, Demi Lovato, British band Coldplay and The Vampsperforming at the event.